It might be one of your classmates, a work colleague. Or maybe even a punk kid who does oil drilling in the middle of the ocean. But NASA is sure the first humans to step foot on Mars are already walking the Earth today, meaning that smart kid you made fun of in fifth period might change history. In celebration of the 45-year anniversary of the Apollo 11 mission, NASA is starting to generate hype for shuttling humans to Mars—and it could be soon-ish. With enough technology capable of shuttling van-sized robots to the Martian planet, NASA is hoping to apply what it has learned into technologies of the future. Technology capable of bringing people to Mars—maybe even by the 2030s, which is pretty far away, sure. But then you realize that, Oh, maybe it's actually not that far away at all. What's fifteen years between changing history? The blink of an eye. To help this nation send humans to deep space and return them to Earth safely, engineers across the country are developing a new space transportation capability, destined to travel far beyond our home planet, NASA said. The Orion spacecraft and Space Launch System (SLS) heavy-lift rocket will be the most advanced space vehicles ever built. Together, they will take us farther into the solar system than humans have ever traveled. They are our spaceship to Mars and beyond. 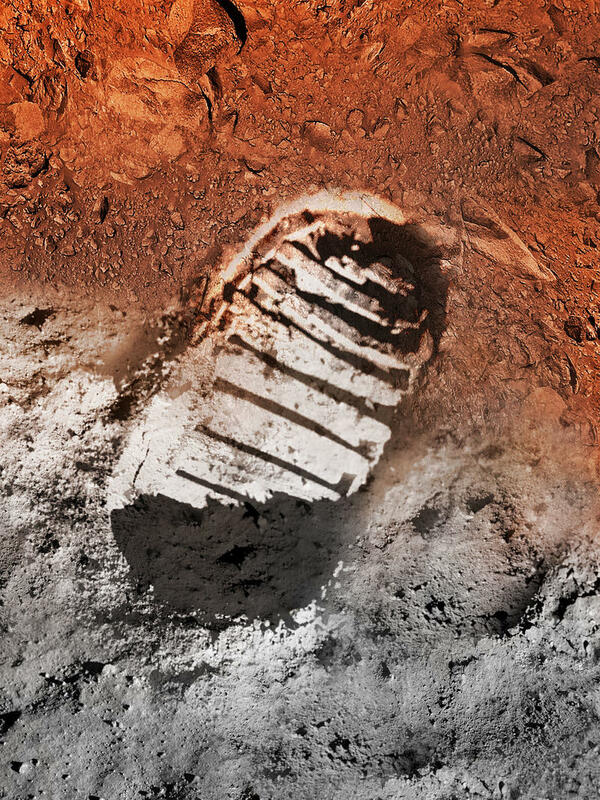 Basically, the majority of NASA's future will be dedicated toward one day stepping on Mars. Right now Curiosity is doing our dirty work on the Red Planet's surface. But in just a few years—by 2019—NASA has plans to capture an asteroid, and then land on said asteroid in the following years. That will give researchers invaluable information as to how new technologies and capabilities can hold up for future man missions to Mars. "Mars beckons us to explore," NASA said. "Missions to Mars could answer some of the fundamental question of humanity: Does life exist beyond Earth? Could humans live on Mars in the future?" NASA seems convinced that life does exist beyond our planet, and said it will prove it within the next 20 years. That's both scary and exciting. In the meantime, the agency has a number of milestones to pass, including a test flight of Orion in December 2014, a Pluto mission in 2015, new Mars missions in 2016, and maybe even the introduction of commercial space flight in 2017 from private companies. "In our lifetimes, NASA and the world will take the next giant leap to explore the Red Planet." It could be your brother, neighbor, friend, acquaintance. It could be you.